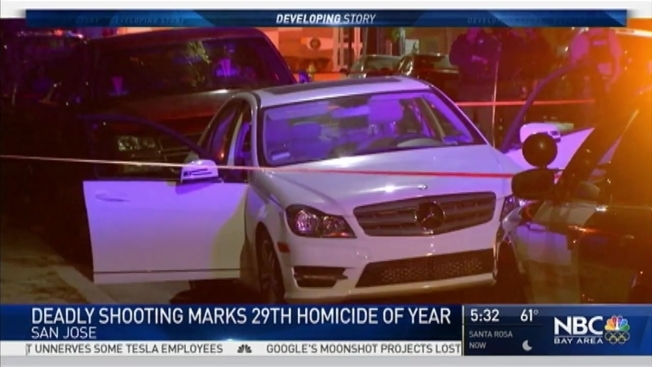 A man was fatally shot in San Jose late Thursday night, marking the city's 29th homicide of the year. About 10:05 p.m., San Jose officers responded to reports of a person shot in the area of Willow and Sherman streets. Upon arrival, they found a man suffering from at least one gunshot wound. The man was pronounced dead at the scene. No motives or details about the shooting were available, police said, and no suspects have been identified. The victim's identity will not be released until the Santa Clara County Coroner’s Office has confirmed it and notified next of kin, police said. Anyone with information about the shooting is asked to contact the San Jose Police Department's Homicide Unit at 408-277-5283. Persons wishing to remain anonymous may call the Crime Stoppers Tip Line at 408-947-7867.